Hot off the press! Brand new Marketing Cards are now available in the back office! Share IDLife Slim+, Energy, Sleep, and Hydrate with your friends and family! Each promotional pack includes 5 trial cards along with one stick of the specified product attached. 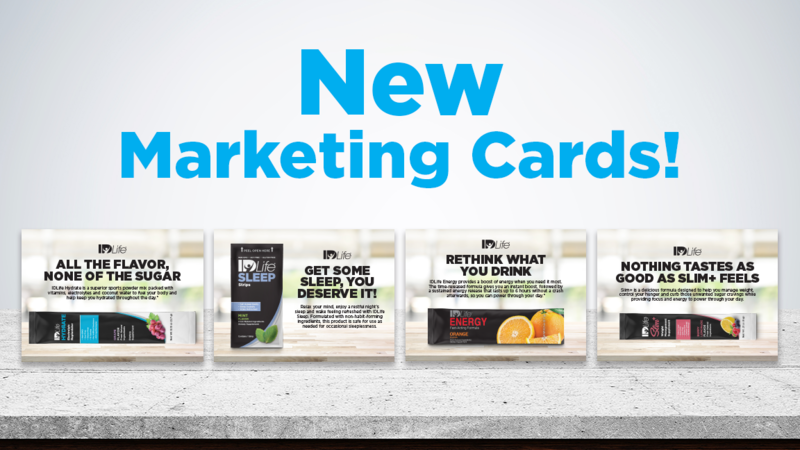 Marketing Cards are one of the best ways to share the IDLife movement!